The second Article is “Scientific Conferences: What is for it and what is on it?" By Prof. Dr El-Dahshan, Gamal Ali, Professor of "Foundation of Education", and Dean, College of Education, Menoufia University, Egypt. The third Article is “ Standards of Teaching Vocabulary in Arabic Language Instruction Programs for Non-native Speakers in Light of Semantic Field Theory" By Prof. Dr. Mahmoud Jalal El-Deen Suleiman, Professor of Curriculum and Instruction of Arabic Language, Vice-Dean for Postgraduate Studies and Research Affairs, Damietta University, Egypt. The fourth Article is “ The effect of using “Google classroom” on the achievement of computer department students in “image processing” subject, and their attitudes toward E-learning" By Prof .dr. Majida Ibrahim Ali & Mr. Ahmad basil Ghazi , The faculty of education for pure science Ibn al-Haytham, Baghdad University, Iraq. The fifth Article is “The Impact of International Publication and Academic Reputation on the Ranking Islamic University of Madinah in International Classifications" By Dr. Khaled M. Elnaggar, Assistant professor of Curriculum and instruction, Preparatory Year for Scientific, Islamic University of Madinah College, Saudi Arabia. The sixth Article is “ The training needs for teaching the developed curriculum of Arabic language in the intermediate stage in the Kingdom of Saudi Arabia from teachers’ perspective" By Dr. Hamada Khalifa Fahmy Khalifa, Assistant Professor, Sciences and Arts College In Shroura, Najran University, Saudi Arabia, and College of Education, Minia University, Egypt. The seventh Article is “Microlearning: Quick and Meaningful Snippets for Training Solutions" By Dr. Badrul H. Khan, A world-renowned expert, speaker, author, educator, and consultant in the field of E‑learning. One of the Leaders in Open and Distance Education in North America. USA. The Eight Article is: “The effect of using electronic games in developing the intuitive English language skills for basic first grade female pupils" By Prof.Dr Salama, Abdul Hafiz, Professor of Educational Technology and Dean of College of Educational Sciences, Middle East University, Jordan. & Ms. Attary, Abeer F., Researcher in Educational Technology, College of Educational Sciences, Middle East University, Jordan. The Nigenth Article: "The Effectiveness of synchronous collaborative learning (Electronic/Blended) on Achievement and Developing Skills of Employing Active Learning among Al-Aqsa University Students of College of Education" By Dr. Sulaiman A. S. Harb, Assistant Professor of Education and Information Technology, Faculty of Education, Al-Aqsa University, Gaza –Palestine. 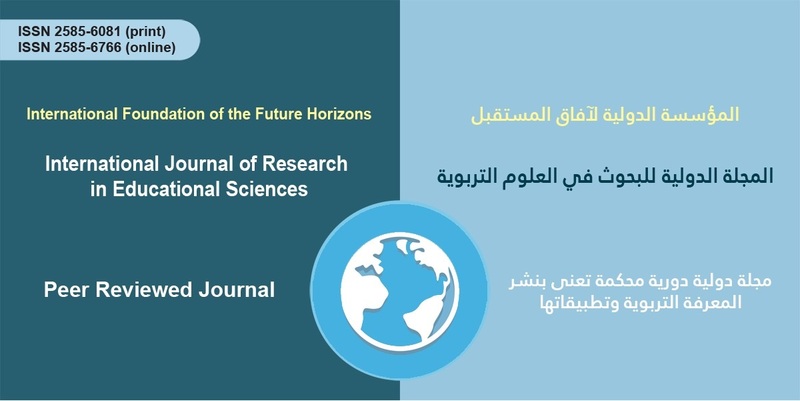 The Tenth Article: "Oriented program through Action Research for Biology teachers to develop their meaningful aesthetic understanding of biology and acquire the Education for Sustainable Development requirements" By Dr. Amany Mohamed Abuzied , Lecturer of Curricula and instruction of Science Education, College of Education, Ain Shams University,. Egypt. 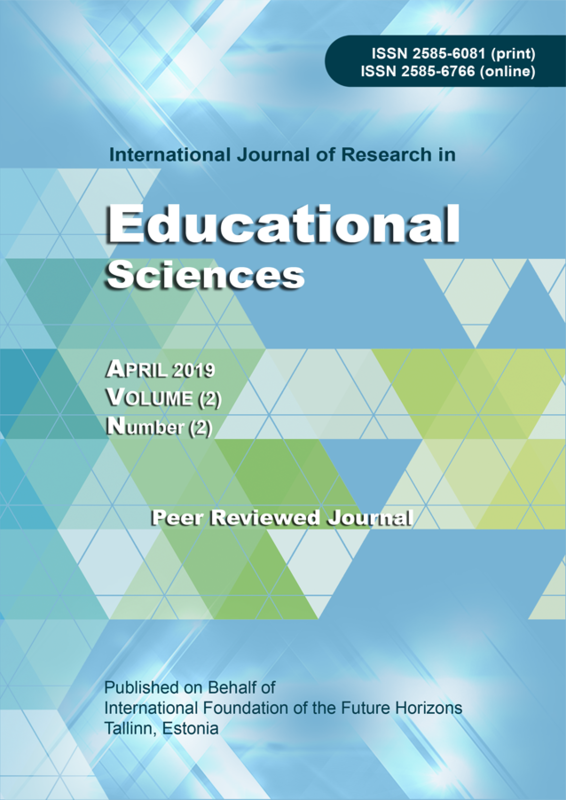 Formation, professionalization, Empowerment: Revisiting Arab teacher Education Programs. Scientific Conferences: What is for it and what is on it?